Demo Day and an Update! You may have missed our blog posts over the past few months, but rest assured the VetMeasure team has been hard at work to improve our MeasureON! Harness so that you can confidently harness your animal’s health! 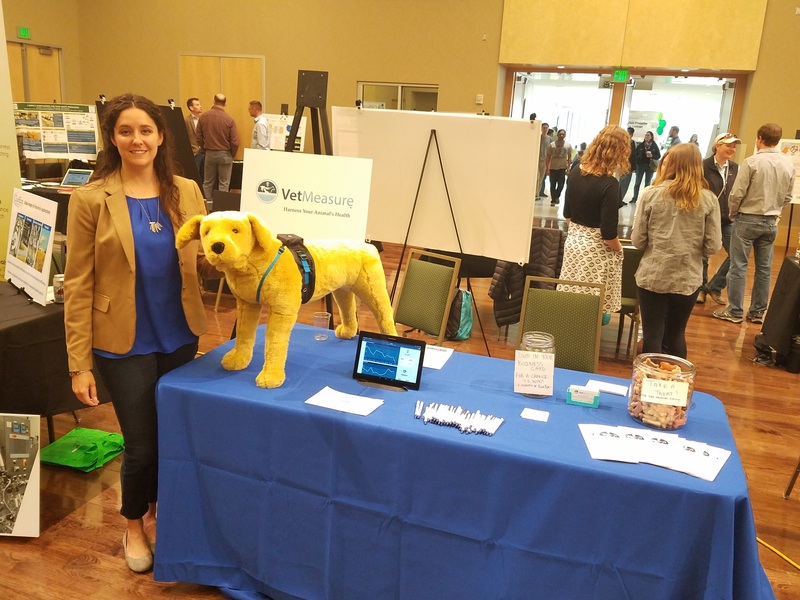 Recently, VetMeasure attended Colorado State University’s Demo Day. Demo Day showcases startup companies and entrepreneurs. VetMeasure put the MeasureON! Harness on display, including live streaming canine health metrics from Wellington Animal Hospital. We took the Demo Day opportunity to speak one on one with many attendees, potential costumers, and investors. Along with our other swag, we asked attendees to submit a business card to win a two-month subscription to BarkBoxhttps! The VetMeasure team has also been working on improvements to our mobile app and preparing for our initial launch. We have been doing more research, including trying out our harness on other domestic animals besides canine. More information on CSU Demo Day and events here! If you want to stay up to date with the latest VetMeasure activities, follow us on twitter, @vetmeasure, or on Facebook at https://www.facebook.com/VetMeasure/.